Hear ye! Hear ye! 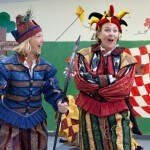 The minstrels have come to town! 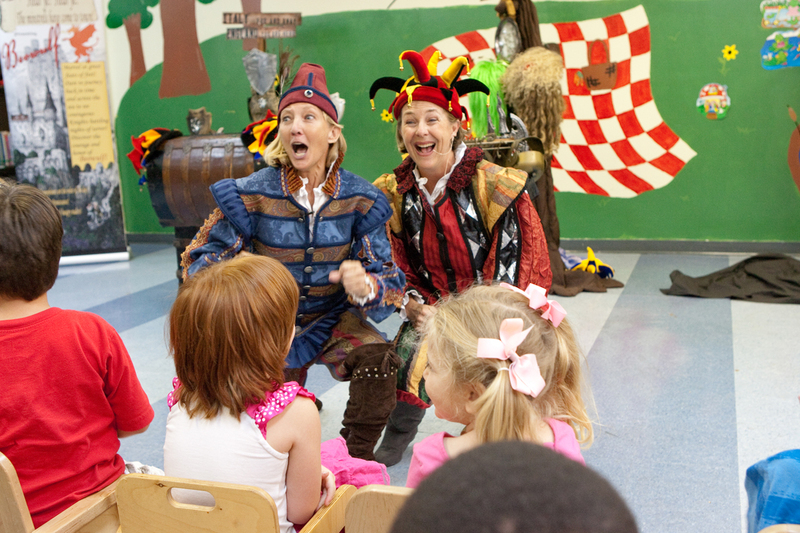 Mischief and comic hijinks immediately draw students into the action on stage. From the first moment to the last, students join minstrels, monsters and heroic characters as they fight and claw their way through fear, good, and evil in this Renaissance rendition of the epic tale. Music, drama, laughter and participation make the story, its language and deep meanings far less formidable than the man-munching Grendel, wily mother, and fire-breathing dragons Beowulf slays. Teachers love the state standards and core curriculum benchmarks of world history, literature, music, and dramatic arts. Contact us for special pricing and funding opportunities for your school or community. Grab a Tale for fun and learning! “Thank you so much for your Beowulf performance and the amazing workshop you facilitated for our adult education students. During your performance I was watching reactions of students and staff. Our students were mesmerized and teachers were beaming from ear to ear when the students performed or read. The man who read the “King” part would not have been able to read that aloud several months ago. It was a powerful and empowering moment.” (Read letter). 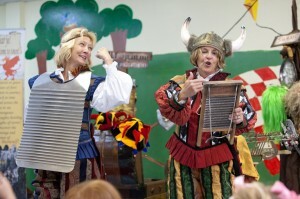 “As part of our school’s study of the Renaissance and fair we invited Donna Wissinger and Joy Myers to help us out. They were contracted to perform Beowulf: A Tale of Courage and Honor. We thought their visit would be a great experience for our students but had no idea how much of an impact it would have. Two weeks after their visit our students are still talking about the experience, singing the songs, playing the recorder and dancing the dances. Donna and Joy accomplished so much in the short time they were with us. Their energy, knowledge, love of children and music captivated students, parents and teachers. 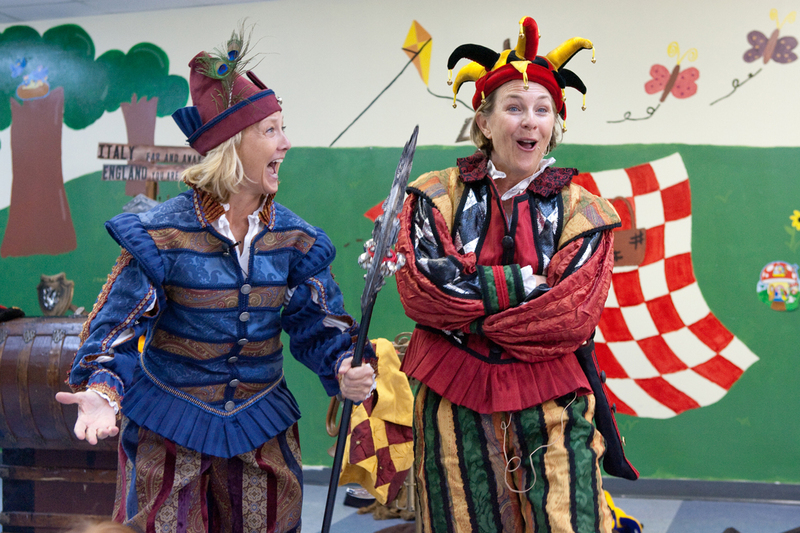 They know just how to relate to students of all ages and their humor and creativity engaged the children and made learning fun and exciting. This was the most exciting and worthwhile visiting artist event we have had in our school and one that we will present again and again. The program was worth every penny and more. Donna and Joy are true professionals and we highly recommend their program.